a cash payment by FNA to the VEBA Trust of U.S.$1,750 million. 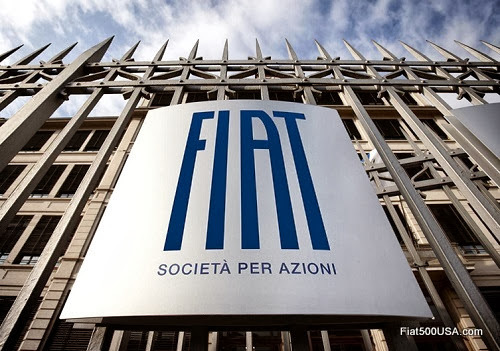 Fiat funded the U.S.$1,750 million payment from available cash on hand. Chrysler Group funded the special distribution from available cash on hand. As previously announced, contemporaneously with the transactions described above, Chrysler Group and the International Union, United Automobile, Aerospace and Agricultural Implement Workers of America (the “UAW”) entered into a memorandum of understanding under Chrysler Group’s existing collective bargaining agreements to provide for additional contributions by Chrysler Group to the VEBA Trust of an aggregate of U.S.$700 million in four equal annual installments, the first of which was paid in connection with closing of the transaction with Fiat. As part of the transactions and as promptly as practicable, FNA and the VEBA Trust will dismiss with prejudice the proceedings before the Delaware Court of Chancery with respect to the interpretation of the call option agreement. The UAW Retiree Medical Benefits Trust, a Voluntary Employees’ Beneficiary Association, an independently administered trust established to pay health care benefits for retirees from Chrysler.